From the moment you begin working with our team at Steel, LLC, you will understand why we call our process a true design-build experience. Our Design-Build method places engineering responsibility and steel construction under a single contract with one team. 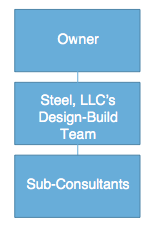 Steel assists with all phases of the process, including concepts to produce a lump sum proposal, design production, fabrication, and erection. By providing a best value solution, we help our customers reduce risk associated with scope creep and design overruns. 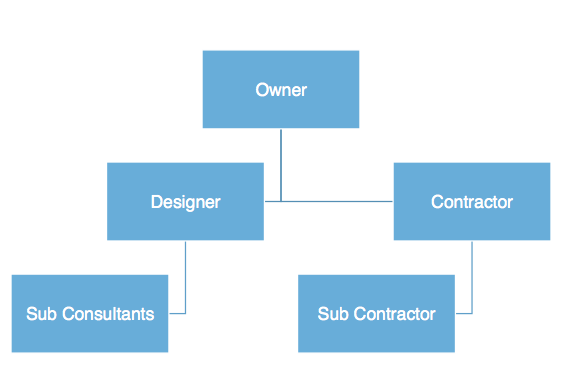 One entity, one contract and one unified flow of work from initial concept through completion re-integrates the roles of designer and constructor. Over the past 15 years, use of design-build has greatly accelerated in the United States, making this delivery method one of the most significant trends in design and construction today. Under the this approach, design and construction services are split into separate entities, separate contracts and separate work, often leading to disputes between designer and constructor and costly delays in project delivery. Across the country and around the world, owners are turning to design-build instead because it successfully delivers both horizontal and vertical construction projects with superior results. Design and construction involves managing hundreds of timelines that need to coordinate in lockstep. Design-build creates opportunities for clients to process the big decisions, ask questions and consider their options. The purest form of the design-build process means the design-build drives the project design through construction at his risk. It is hard to change directions or jump track once the design train is heading one way, which is why cost saving and value engineering are best served in the first few meetings and in the first few design concepts. With Steel, LLC, we advise the owner, based on accumulated building experience, on a course direction that will fit the their budget, time constraints, and tastes in what they believe the building should look like, how it functions, and more.